May sees a new exhibition start by Lindsay Turk at Birnam Arts. The exhibition titled, Zugunruhe is taken from a German compound word consisting of zug – meaning move, migration and unruhe – meaning restlessness. This is a new body of work by Scottish painter Lindsay Turk, her work frequently draws on natural themes that relate in a variety of ways to the human condition. In this collection, Lindsay turns to the phenomena of Zugunruhe. Focusing on the movement and characteristics of birds, the work in this exhibition explores themes of restlessness, the desire to move or journey, the attraction of flight, and the inherent longing in humankind for space and freedom. 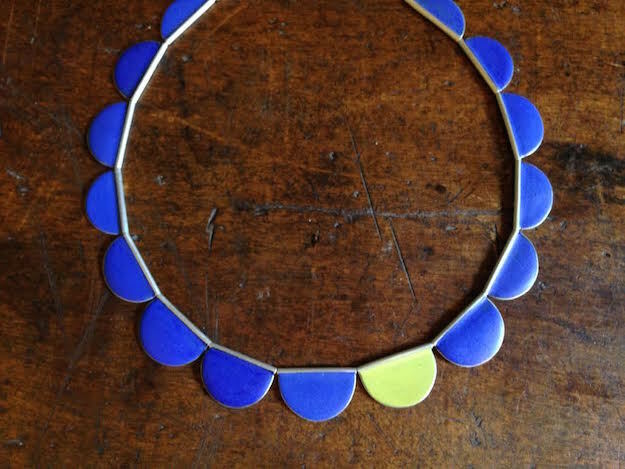 An added bonus, Lindsay’s exhibition will also feature a small exhibition of jewellery for sale by Ann Little, a national and international exhibitor who has work in the collections of the National Museum of Scotland, Edinburgh and Aberdeen Art Gallery.